She-Hulk - An Amazonian woman transformed into a Hulk, thanks to a blood transfusion from her cousin, Bruce Banner (Hulk). The only made up character is Dead Husband, the reverse of the Black Widow. Get it? What do you think of Earth's Mightiest Women? I could live with it! I love Kate Bishop. Actually, I love all of the Young Avengers. 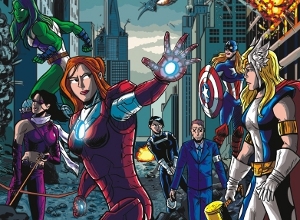 the world may soon by populated by super heroes. I wonder why when I leave a comment on your site I see a message that comment is hidden due to abuse reports. What's that about? Im a big Amazing fan ( though I like DC galaxy better). 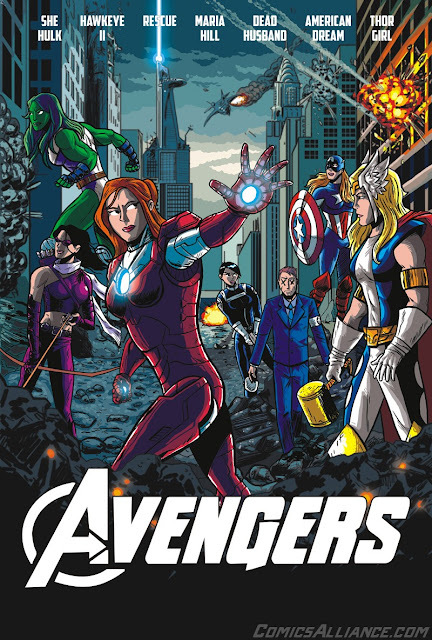 The hulk , being real to his characteristics, created the dark-colored widow. How did he, by the end of the Avengers film begin purchases from Leader The united states. The dead husband thing had me puzzled until you explained it! Sorry Arlee. The system flags comments with links in them. I've white listed your name, so it shouldn't happen again. Thanks for letting is know!